Interview with the National Covergirl Oni_Av13!! Stardoll Trends : I want you to have an interview for my blog :X se can? Stardoll Trends : How do you feel being the NCG? Oni_Av13 : Well I feel very well and was a great desire of mine that was fulfilled: D! 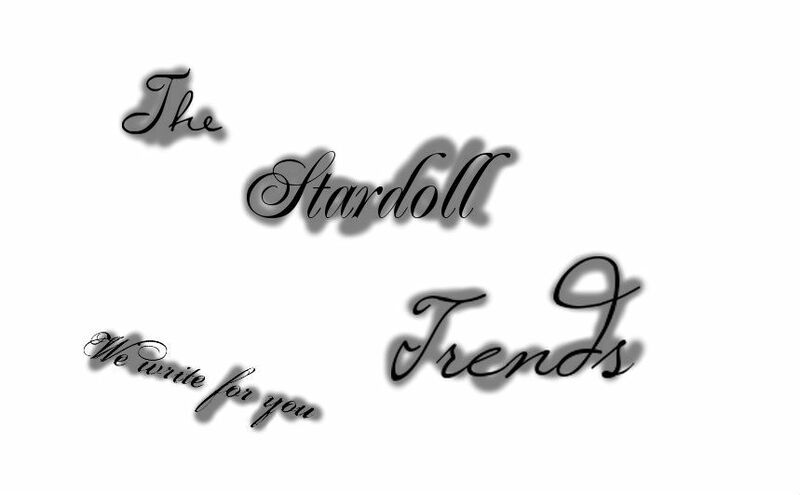 Stardol Trends : You've asked friends to tell on you vote? Oni_Av13 : Yes, of course I have many friends who are with me and helped me fulfill my dream. Stardoll Trends : What was your reaction when you saw that you became NCG? Oni_Av13 : I jumped from his chair and started shouting Yay! Stardoll Trends : If you have not done it now, you have constantly tried to become NCG? Oni_Av13 : Yes,I tried yesterday,but I not succeded and I was very sad but I have not quit because I knew that my friends can be together nothing is impossible. Stardoll Trends : You'll help your friends how you have helped them become NCG? Oni_Av13 : Yes today I've received several requests and to help them with great pleasure. Stardoll Trends : Thank you for interview!